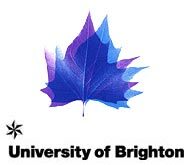 Wittenborg's joint MSc Degree Programmes are validated by the University of Brighton, under its own accreditation system. The UK QAA carries out university institution accreditation in the UK for the government. UK-accredited degrees are fully recognised in the Netherlands and worldwide UK Accreditation (MSc Programmes). The joint MSc Degree Programmes are validated by the University of Brighton, under its own accreditation system. The UK QAA carries out university institution accreditation in the UK for the government. UK-accredited degrees are fully recognised in the Netherlands and worldwide.